“We feel in a good moment, we feel that each of our players is fantastic – we are on fire” Jürgen Klopp’s words the day before Liverpool vs Porto took place. The Reds needed just five minutes to open the scoring on Tuesday night – on fire they were indeed. Much is said of the atmosphere in English football, does it exist – have fans been priced out of the game? One thing is for sure, on a European night at Anfield the air is electric – the old stadium once again shaking to the rafters pre-kickoff. Those packed into Anfield barely had time to take their seats before last season’s runners-up found the net. James Milner picked out Sadio Mane with a searching ball. 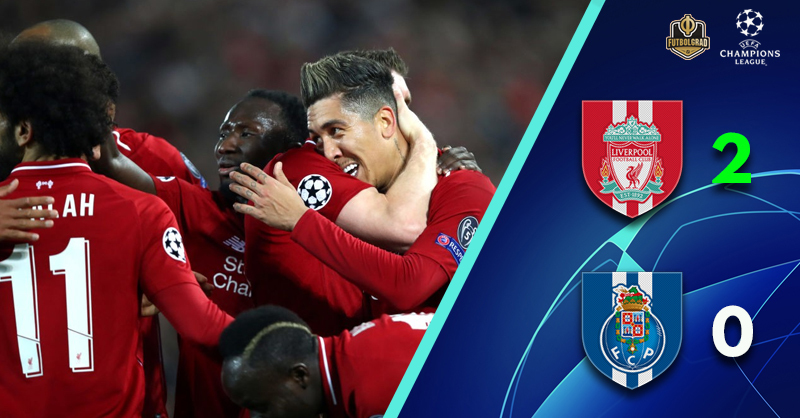 The Senegalese forward danced past the Porto backline, finding Roberto Firmino who in turn laid the ball off to Naby Keita on the edge of the area. The ex-RB Leipzig midfielder drove his shot into the Anfield Road end net – after a dry spell of eight months, the Guinean notched his second goal in successive games. The Kop serenaded him, and rightly so – it was a dream start. Liverpool continued to press, the corresponding fixture last season saw the Reds romp to a 5-0 victory and despite Klopp’s words pre-match that it was a new game, his side could sense something similar in the air. Mohamed Salah should have made it two just after 20 minutes, sliding his shot past the post of Iker Casillas. It didn’t matter too much, the Egyptian had already received a standing ovation for some wonderful defending on the edge of his own box. Firmino then did what his fellow strike partner hadn’t – finding the net from close range, tapping home to cap off a wonderful team move that has become a regular feature since the ex-Dortmund coach took over the reins on Merseyside. Porto did create chances of their own. Moussa Marega – who scored in his sixth consecutive Champions League match in the second leg against Roma – was denied by Alisson from six yards before the striker then fluffed his lines from a similar distance, after finding space behind Liverpool’s centre back pairing. As the half time whistle sounded it was Liverpool who led – and in truth, it should have been by more than a two-goal margin. The hosts came out for the second half with the same intensity as they ended the first. Mane thought he’d made it three on 48 minutes, but the goal was disallowed for offside. The VAR check confirmed that the on-field assistant was correct – the score stayed at two. It seemed to give Porto hope, both players and supporters. Marega was remaining a threat every time the visitors built an attack – it was just their end pass and product that was lacking in any real quality. The Portuguese champions couldn’t find a breakthrough for all of their five minutes of dominance, and the fixture swung back to the host’s favour. Trent Alexander-Arnold went close on the hour mark. A one-two with Salah almost resulted in a goal, but the local who once watched Liverpool from these very terraces could only watch on again as his chance went agonisingly wide. 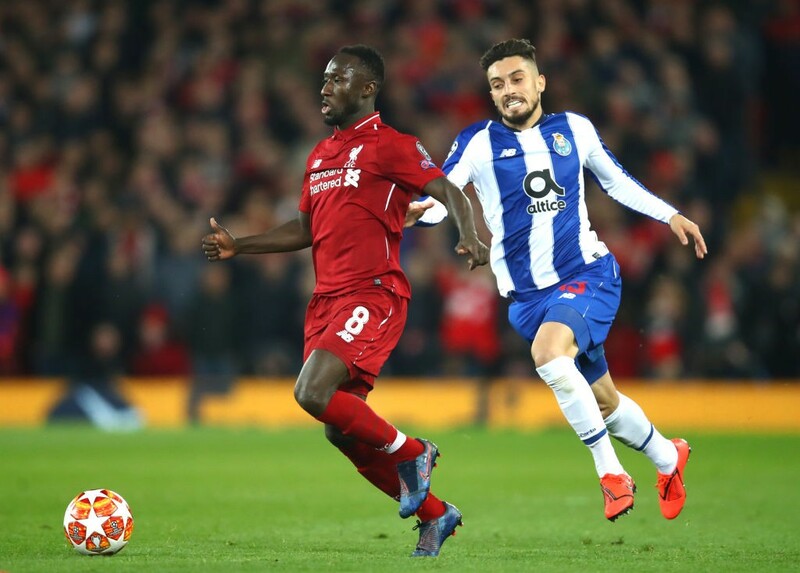 The final 30 minutes became a scrappy affair, with Porto guilty of missing a number of opportunities that could have put some real pressure on the English side. As it was Liverpool finished the second half as they did the first, with a two-goal cushion. The ex-RB Leipzig player has had a rollercoaster of a first season with the Merseyside giants. From early season worries due to injury and form, it has been 2019 that has finally seen the midfielder begin to find his feet in Liverpool. Registering his first goal for the club a few days back at Southampton, Keita built on that performance tonight in the Champions League. Putting in the type of display that was seen regularly in Saxony – his goal, the icing on tonight’s personal cake. For all of their dominance, Liverpool will feel this fixture should have been more reflective of the game 13 months ago. However, a 2-0 lead going into the return leg should be enough to see the Reds though – you would think. Liverpool simply had too much quality for their Portuguese opponents, although Klopp will not say it – he must be thinking once again about the possibility of another Champions League semi-final.